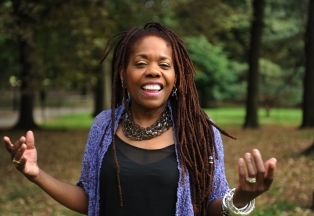 Catherine Russell is that rarest of entities – a genuine jazz and blues singer – who can sing virtually anything. Her voice is full blown feminity incarnate; a dusky, stalwart and soulful instrument that radiates interpretive power yet remains touchingly vulnerable. She launches fearlessly into each tune, getting inside the melody and capturing every emotion. Catherine Russell joins the ranks of the greatest interpreters and performers of American Popular Song. She has toured the world, performing and recording with Paul Simon, David Bowie, Steely Dan, Cyndi Lauper, Jackson Browne, Michael Feinstein, Levon Helm, and Rosanne Cash, among others.